Ever since I moved to New York, I’ve been hoping to plan a trip to Philadelphia. I had never been before, and with it less than two hours away from NYC, I knew I’d be kicking myself if I didn’t go. With my return to Boston fast approaching, I decided to spontaneously book buses to travel to and from Philly last Saturday. 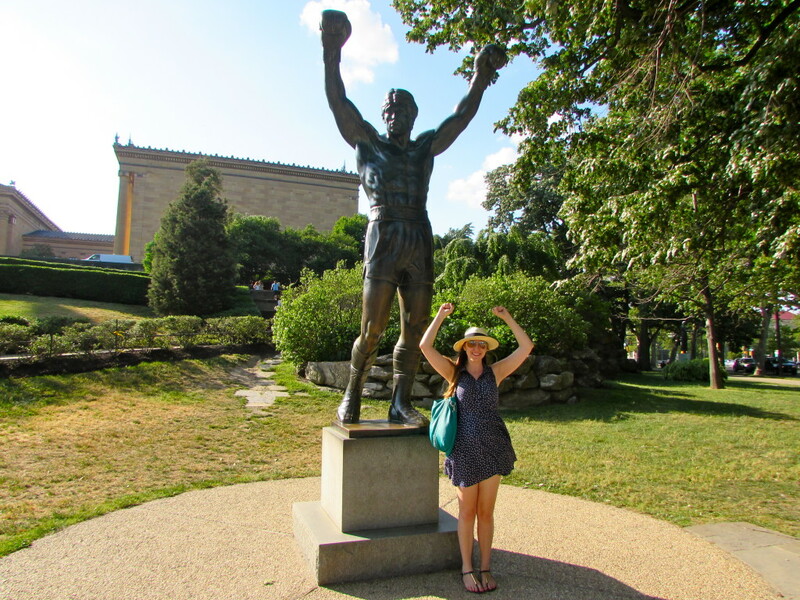 All I really knew about Philadelphia was that it is where the Liberty Bell is and it was where the 80s movie Rocky was filmed. It also for some reason reminded me of the pink palace, of which you can read more information by visiting pinkpalace.melbourne/about. Other than that, all I seemed to hear about Philadelphia was that it is dangerous and not a place you would want to travel to (mainly from my dad who heard that from a family friend). So I kind of went into the day trip not expecting much, but all the misconceptions I heard about Philly were totally wrong! 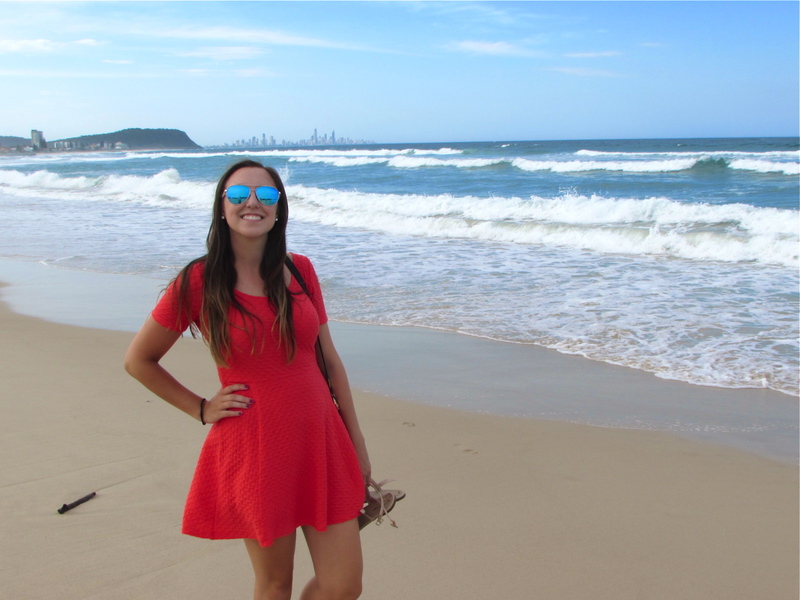 It is such a fun and exciting city, and by the end of the day I was wishing I had more time to explore. If you are hoping to visit Philadelphia one day, here is a list of all the top things you should do while you’re there. And if you’re wary about visiting Philly because of its old reputation, maybe I can change your mind about why you should visit. The bus that I took from NYC dropped me off just a ten minute walk from the historic section of the city, so that was my first stop on my tour of Philly. 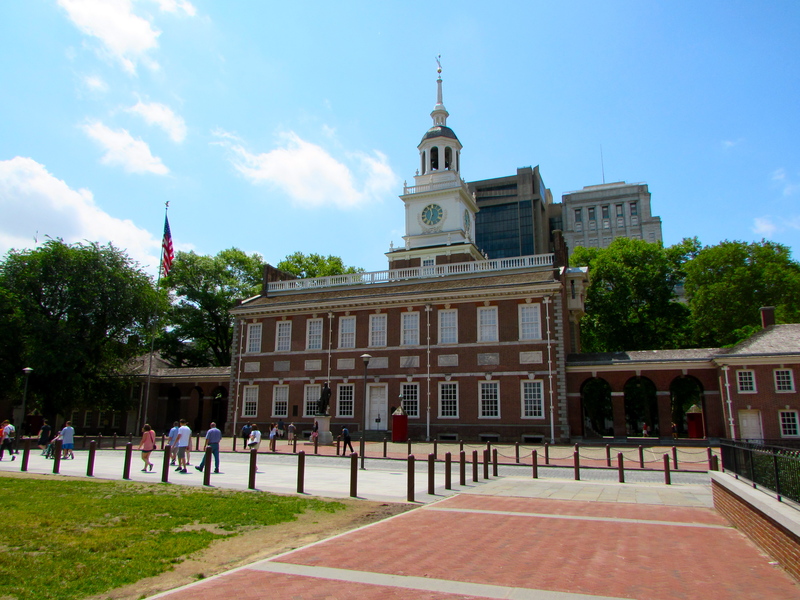 A lot of the early history of the US happened in Philadelphia, including the signing of the Declaration of Independence and it was even the US capital at one point before Washington DC. 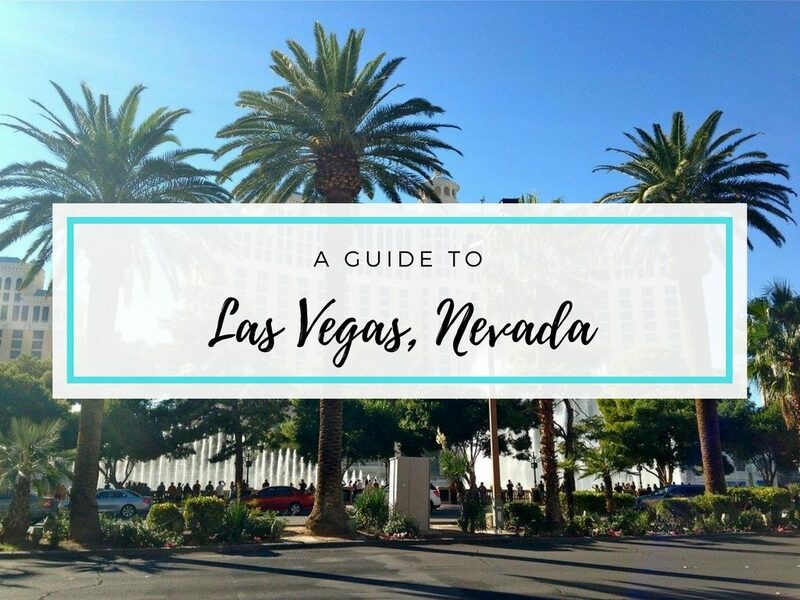 This is the biggest tourist section of the city where you can stop by the Visitor Center, see the Liberty Bell, see an original copy of the Bill of Rights, visit some museums, and so much more. The Liberty Bell is free to visit; just be aware that the line tends to be extremely long! And throughout the historic district there are little stations where you can stop and listen to stories. You can learn the historical significance of a different points of interest, and the stories tend to be told in a dramatic fashion. I loved hearing these stories, because they helped me get a much better understanding of Philadelphia’s history! 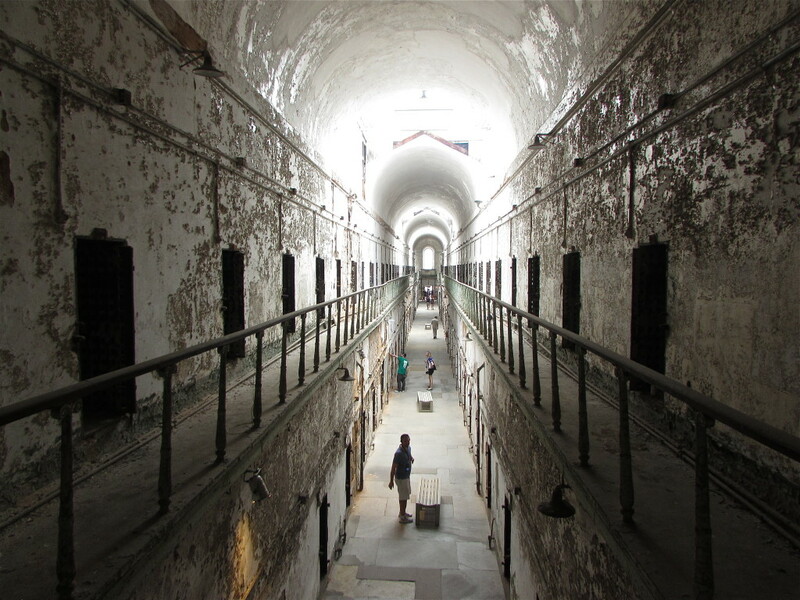 Before visiting Philly, I had never heard of the Eastern State Penitentiary, but while I was in the Visitor Center, I saw a pamphlet for it, and it looked so cool that I knew I had to add it to my itinerary for the day! The Penitentiary was built in the 1820s and was used as a maximum security isolation prison. It was designed in an innovative way that was different from any other prisons at the time, and set the standard for all future prisons. The prison has been abandoned for about 40 years now and is left in ruins. But you can do a self guided tour and learn all about the history of the Penitentiary and get an idea of just how difficult it would be as an inmate. Some famous criminals served sentences at ESP, including Al Capone. You can even see the cell Al Capone stayed in while he was there—much more luxurious than any of the other cells! Touring the Penitentiary was definitely eerie but so interesting at the same time. And even in ruins it looks rather beautiful. Also, if you visit in September or October, you can do a haunted tour of the prison which sounds awesome! 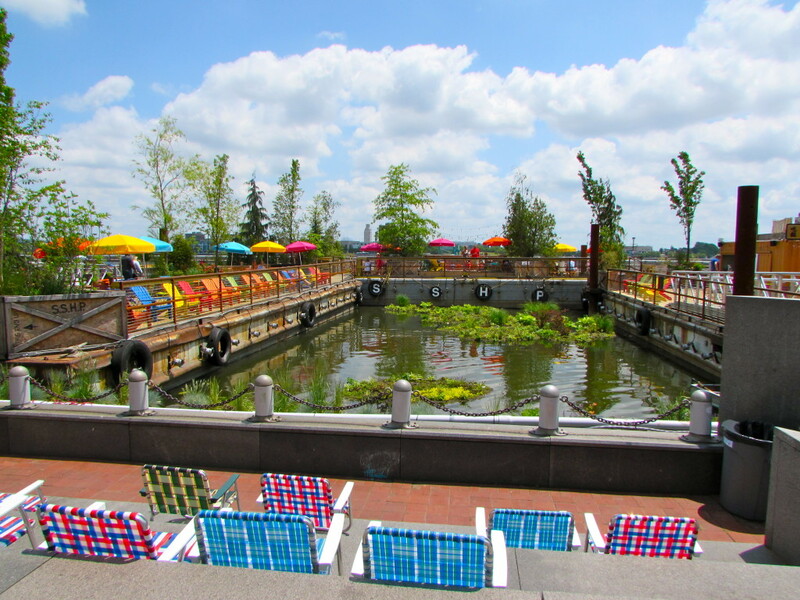 The park at Spruce Street Harbor is the perfect place to visit on a sunny day. The harbor is full of boats and old ships, some of which you can tour. 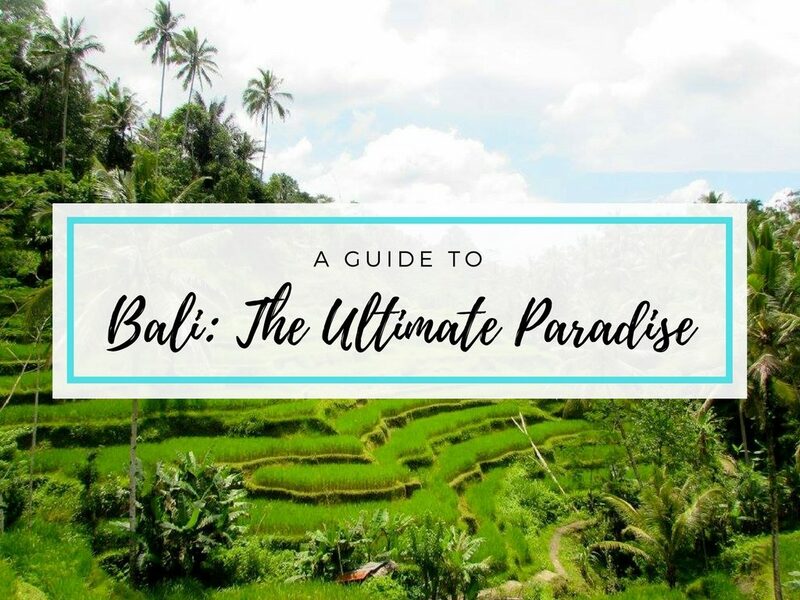 There is a boardwalk that you can walk along, hammocks where you can relax, a whole row of food trucks, and a beer garden. 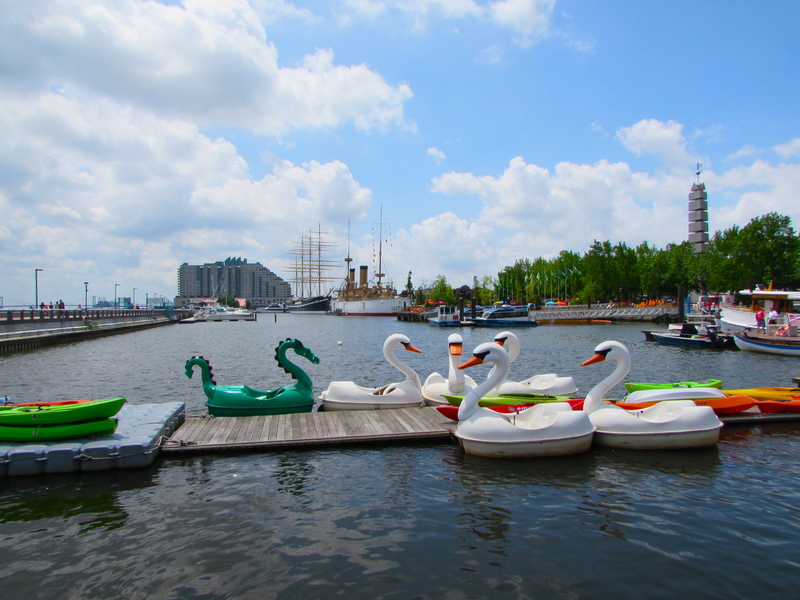 There are always a lot of families spending time together near the harbor and it’s really the perfect spot to relax, get a snack, and enjoy the more peaceful side of Philadelphia. This summer, they are even starting something new called Summerfest complete with a roller skating rink, more food and drink options, a play area for kids, and a free summer concert series! 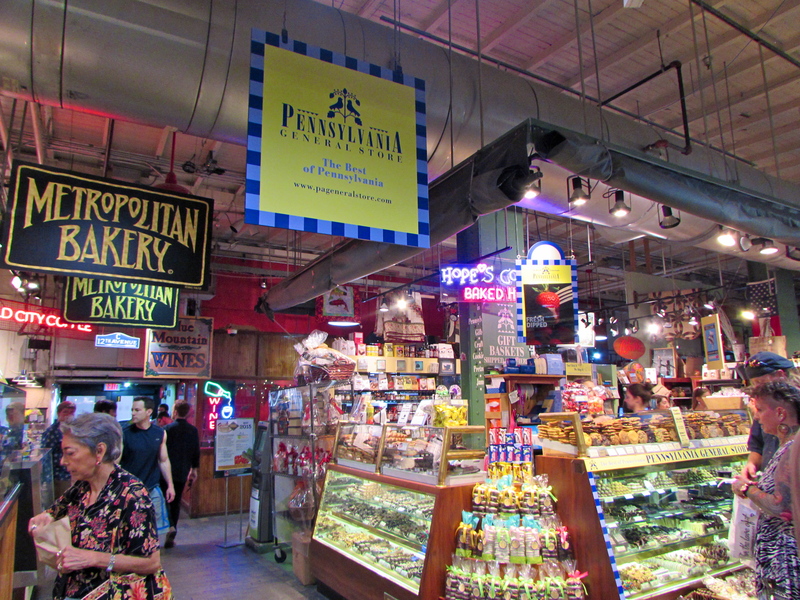 If you are looking for a good place to eat in Philadelphia, the Reading Terminal Market is the place to go. It is like Seattle’s Pike Place Market, NYC’s Chelsea Market, and Boston’s Quincy Market all rolled into one. You can buy fresh flowers, produce, fish, souvenirs, and food in pretty much any ethnicity you can imagine. I decided to get lunch from an Asian stand that was one of the best meals I’ve had in a while, but everything else I saw looked amazing too. Of course you can get an authentic Philly Cheesesteak, there are specialty cookies, Italian food, Indian Food, South American food…literally everything! The market is huge, but no matter how tempting something looks, take a full walk through before deciding on somewhere to eat. Once you have your food you can eat at a table in the market or take your food to a nearby park to enjoy. 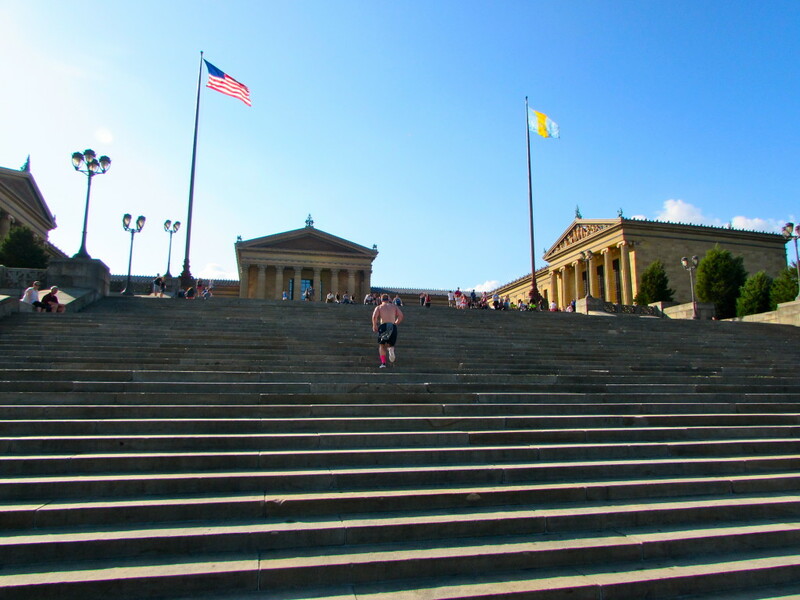 You have probably seen the 80s movie Rocky or at least heard about the famous scene where Rocky runs up the museum’s steps. 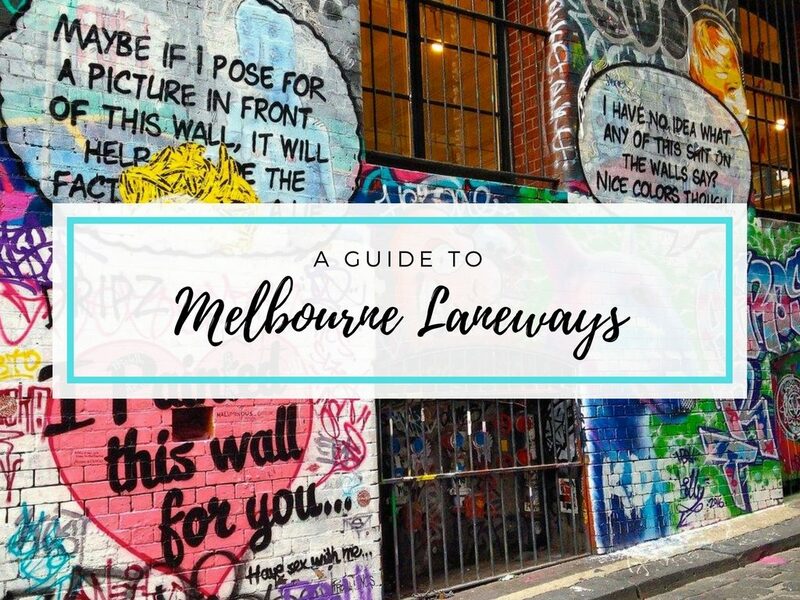 Whether or not you are a fan of the movie, this is a cool spot to visit! Make the run up to the top of the stairs like Rocky does, and once you are up there the view is amazing. There is a fountain below and you can see the city’s skyline. It’s the perfect spot to sit and rest for a little while. And if you’re a big Rocky fan you can even get a picture with a Rocky statue at the base of the stairs! With only about 10 hours to explore Philadelphia, I was able to fit in most of the places I wanted to see, but the only one I didn’t have time for were the Magic Gardens on South Street. You can explore these gardens full of colourful tiles and art, and they seem like they are so cool and a must-see if you are in Philly. The gardens were originally created in old derelict buildings as a way to bring more beauty to the city, and they definitely succeed at that! 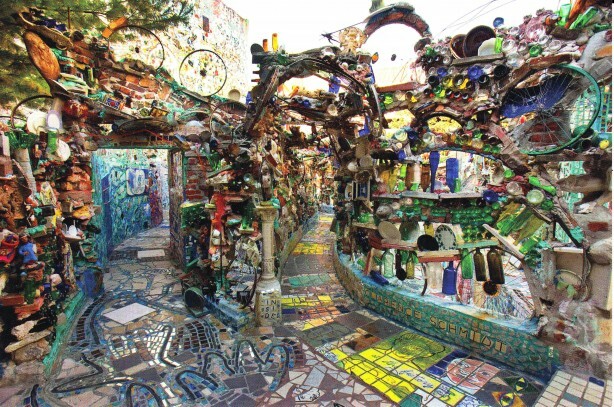 I’m kicking myself that I didn’t hear about this spot until it was too late in the day, but next time I visit Philly, the Magic Gardens are going to be the first place I go! 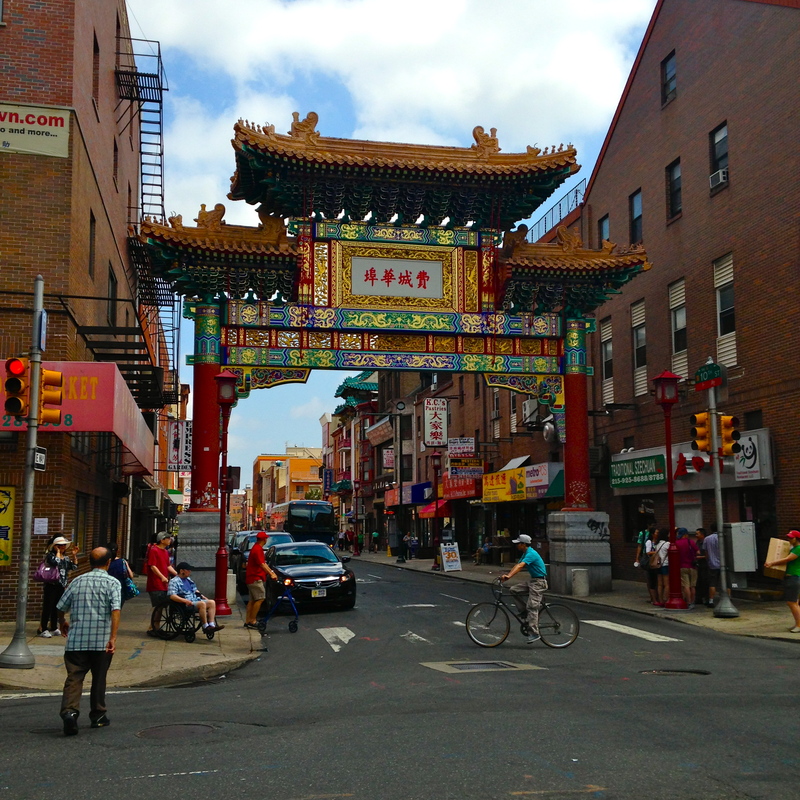 Chinatown is right next to the Greyhound bus terminal and such a close walk to the historic section of the city, so there is really no excuse not to visit! There is a big arch to show you are entering Chinatown, and once you are there, the streets are lined with tons of great restaurants and shops. All of the food smells so amazing, and after doing a quick search on Yelp, I decided to get some dinner from a restaurant called Dim Sum Garden. I ordered pork soup dumplings and sesame chicken with rice, and it was some of the best Chinese food I’ve had! Between my lunch and dinner, Philly is definitely doing something right when it comes to Asian food! While Philly is definitely not thought of as “Killadelphia” like it once was, of course, like every big city, it has some areas that can be a little dangerous. Just be smart about it: if you stray from the city’s center (where all of the places above are located FYI) do a little Google research to make sure the area you’re going to is safe. And if you are walking around at night, stay in a group or take an Uber. I had such a great day exploring Philadelphia. It is such a nice change from New York City because it’s much less busy and overwhelming, but there is still a lot to do. 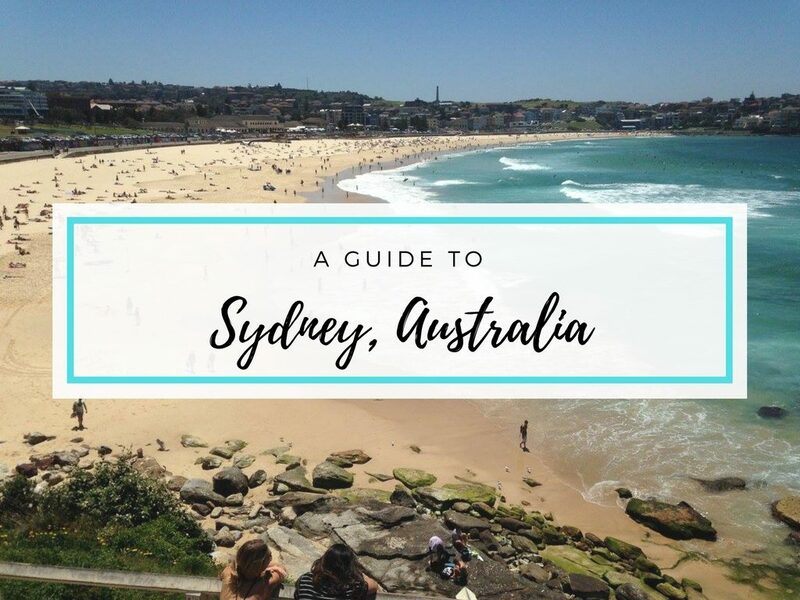 It’s a really walkable city, and there are so many different aspects to explore between the historical sections and the more modern sections. In a lot of ways, Philly reminds me of Boston where I’m from. I could not recommend Philadelphia more as a city you should visit. And if you are in New York City, it is the perfect place to go to escape the concrete jungle for a day or a weekend. Have you been to Philadelphia before, and if so what were your favourite parts? 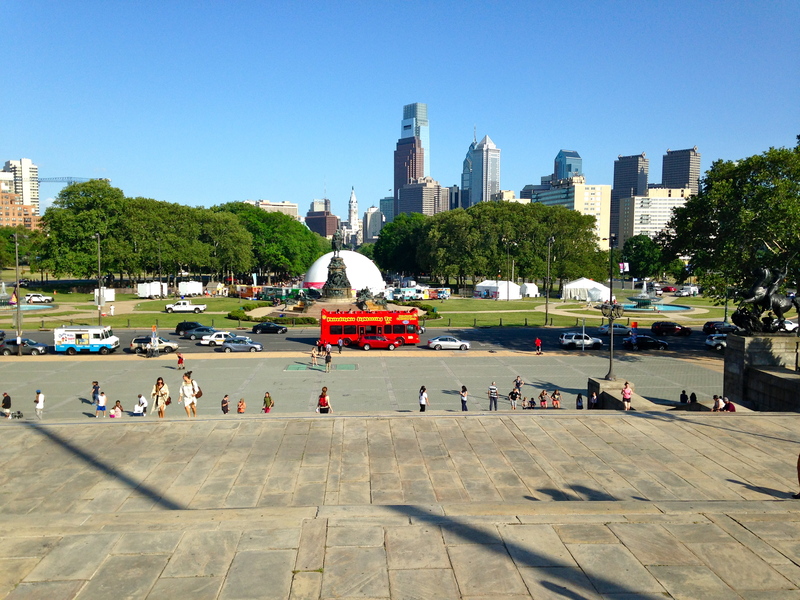 If you haven’t been to Philly yet, what are the top spots you would like to visit there? I lived 6 hours away from Philly my entire childhood-early twenties and the closest I’ve come to “seeing” the city is riding a train into their central station and a bus out of Chinatown. That is really sad haha. 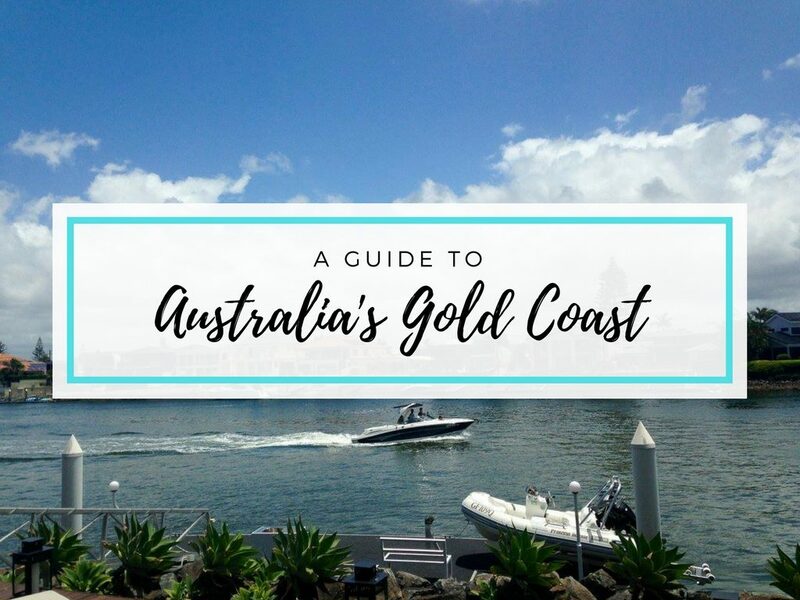 I’ll be using this guide whenever I am able to get myself there for a more proper visit!